When I was growing up, we didn’t have gummy vitamins, but I’d sneak into the kitchen cupboard to snack on “Flintstones” vitamins. Sure, there were cookies in the cookie jar, but I loved the purple and orange vitamins as if they were candy—and essentially, they were. These days, flavored chewable vitamins aren’t just for kids. In fact, gummy vitamins are being marketed to adults of all ages…and they’re selling like crazy. But can these candy-like vitamins really be good for you? While standard vitamin tablets and capsules may not effectively deliver adequate amounts of the nutrients they feature, at least they aren’t laced with sugar. And although your body likely doesn’t receive the dosages promised in the tablets, at least you get enough of the nutrients that they’re not a total waste of money. Gummy vitamins, on the other hand, can add sugar—and extra expenses!—to your life in a heartbeat. For the sake of comparison, let’s take a look at your average vitamin C tablet. A bottle with 300 tablets—each tablet containing 1,000 milligrams (mg) of vitamin C—costs about $30.00. A bottle of “Nature Made” gummies, on the other hand, costs about $7.00 for 80 gummies, but only offers 125 mg of vitamin C per gummy. That means you’d have to take about eight gummy vitamins to get the same amount of vitamin C in one tablet. And, in 10 days, you would have to shell out for more gummies. Over the course of a year, then, you’d be spending about $250.00 for gummy vitamins, versus about $36.00 for tablets. Each gummy vitamin also features about 1 gram (g) or 2 g of added sugar—something you should be looking to cut back on. And sure, 1 g or 2 g might not seem like a big deal, but remember that you’re multiplying that by eight every day, potentially leading to 16 g of added sugar per day. Once again, it might not seem that bad, until you consider that it’s a vitamin and not a package of gummy bears you’d eat for a treat. And that’s if you don’t snack on them. 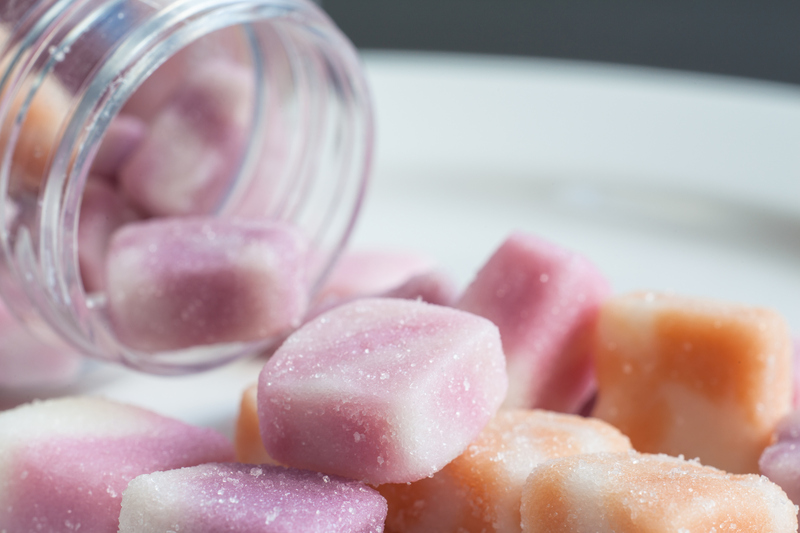 If you’ve got a bit of a sweet tooth, it’s quite easy to reach for a few gummy vitamins, believing that they’re a healthy snack—but they’re not. Not only do they add plenty of extra sugar—some varieties actually have sugar sprinkled on top—but if the nutrients are fat soluble, you risk an overdose! Considering the fact that gummy vitamins are produced by companies like Trolli—a leading gummy candy maker—I think it’s safe to say these products are little more than candies marketed towards adults. Instead of going the fast and easy route, no matter how tempting, I highly recommend that you eat a healthy, well-rounded diet with plenty of fruits and vegetables to get most of your nutrients and then stick to plain old tablets for your supplementary needs. Ellin, A., “Vitamins Gone Gummy,” The New York Times, February 28, 2017; https://www.nytimes.com/2017/02/28/well/eat/vitamins-gone-gummy.html?rref=collection%2Fsectioncollection%2Fhealth&action=click&contentCollection=health&region=stream&module=stream_unit&version=latest&contentPlacement=30&pgtype=sectionfront&_r=0, last accessed March 20, 2017. Hamblin, J., “Experts Decisive Against Multivitamins: ‘Stop Wasting Money,’” The Atlantic, December 17, 2013; https://www.theatlantic.com/health/archive/2013/12/experts-decisive-against-multivitamins-stop-wasting-money/282440/, last accessed March 20, 2017.